What hasn’t been said about Mike Sexton that hasn’t already been said? The man is a living legend of poker – a Poker Hall of Famer in the truest sense of the distinguished title. 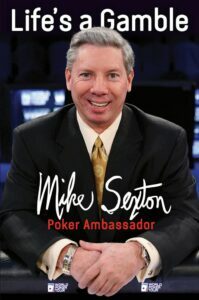 An ambassador for the game of poker itself, Mike has been associated with PartyPoker and the World Poker Tour ever since the respective organizations’ inception. After everything he has experienced in the poker world over the years, he finally decided to write a book recording his experiences, called “Life’s a Gamble”. 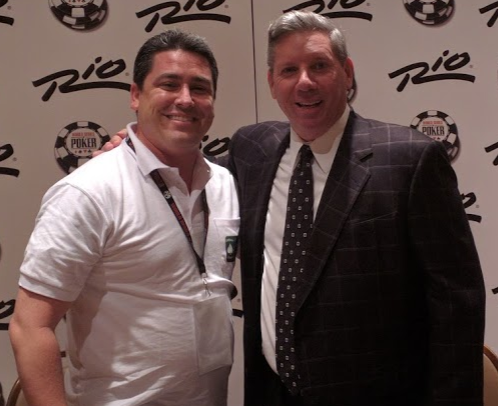 Mike was kind enough to allow me the privilege of interviewing him at the 2016 World Series of Poker and agreed to do so via the Facebook Live platform, which enabled many of his fans to tune in and ask him some questions, beyond the ones I had prepared in advance. 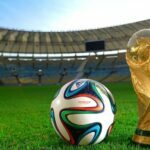 Since not everyone is always able to participate in real time, we’ve posted the Mike Sexton video interview below, along with a summarized transcript. I hope you enjoy it as much as I did the experience. What a fantastic experience and privilege it was to have interviewed you, Mike. Thanks so much! Hey everybody, this is Robbie Strazynski here for Cardplayer Lifestyle and we are here at the 2016 World Series of Poker with the one, the only, Poker Hall of Famer Mike Sexton. 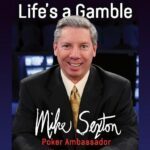 Mike has just written a poker book called “Life’s a Gamble”, published by D&B Poker and he’s here to tell us all a little bit about it as well as his storied career as an ambassador in the poker world. Tell us a little bit about the book, Mike. Well, it’s not a how-to book. That’s number one. It’s about life. It’s about stories, the history of poker, it tells about some of the icons and legends of the game, that I was involved with and know stories about. Some of them have their own chapter, like Chip Reese, Doyle Brunson, Puggy Pearson, Stu Ungar, Billy Baxter. 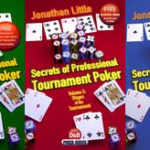 So basically, if you want to learn about the history of the game, about poker perhaps before television came around, there are a lot of interesting things in the book. A lot of good gambling and betting handicap stories in there so anyone who likes poker, golf, and action of any kind, will thoroughly enjoy this book. What took you all these years to finally decide to write a book? What was the catalyst that made you say “it’s time”? Well, it was actually a few years ago when I got the idea. So many people were saying, “Look, you’re the connection between the old-school guys and poker today, you have so many stories about that, and if you don’t tell them, who’s ever going to know about them?” What’s going to happen? The old guys are dying unfortunately, and life goes on, but this is sort of the link. I was the link between those guys. I was very fortunate that when I came out to Las Vegas back in the 70s, I got to hang around the high stakes players and legends of poker. At that time I got to know them all pretty good. So because of that connection that I have, I was just at the right place, at the right time. I was encouraged to write the book and then the publisher said, “Do it, do it, do it,” and finally I decided this past year to get it done. And here it is! I think it’s a fun and entertaining read. I wrote it all – no ghostwriters, nothing else, it was all me. How did you decide which stories made it into the book and which didn’t? You sort of feel like you’re in the moment there when you’re reading these stories. Like everything else, you have to prioritize, come up with something, and then go with it. Then obviously, when it’s all said and done, you think, “Gosh! I wish I would have put that in there.” But that’s normal, I think. You’ve been with the World Poker Tour since its inception. I’m sure plenty of other great poker organizations would love for you to represent them. What is it about the WPT that has kept you on board with them all this time? Well, the World Poker Tour (“WPT”) changed poker forever. I mean, literally, you couldn’t find a no-limit hold’em game anywhere in the country prior to the WPT coming over and taking place, and now it’s the primary game in every poker room across the country. So what they’ve done to revolutionize poker, to bring so many more players into the game, and to expand it globally, it’s just second to none. 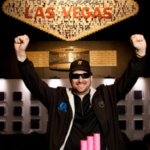 I’m proud to be a part of the World Poker Tour. It’s just a fantastic company and fantastic people work there – very professional. I’m very fortunate to have my job, you know? Not many people – or a lot of people, in a way – are fortunate enough to really and thoroughly enjoy their job where it’s not considered work and it’s fun to go to. Fortunately I’m in that position and I’m blessed for that. I love the WPT. I know a lot of people say it was the Moneymaker Effect, or online poker, but believe me, it was the World Poker Tour that brought poker to television that created the poker explosion. No doubt about it. We’re here at the World Series of Poker. You won a bracelet in Stud 8 or Better way back in 1989. That’s over 25 years ago. What would winning a second bracelet mean to you after all this time? It would mean a lot to me because I have a 7 year old son now who’s always saying, “Dad, win a bracelet, win a bracelet, win a bracelet,” and I said, “I’m trying, they’re not that easy to win!” So if I do win another one, obviously it’s going to go right to him. So that’s the reason I would like to win one to be honest. That would be great. You know, I won the WSOP Tournament of Champions for $1 million, but they didn’t give a bracelet for that, because it was an invite-only event I guess, but that was pretty special. What event or discipline do you feel you’d have the best chance at winning bracelet #2 in? Maybe the Seniors Event? This Saturday I’m playing in the $10,000 buy-in Stud 8 or better tournament and I think I’m as big a favorite to win that as anybody else. It’s my best game, so that’s the best event I think. There’s also a $1,500 event later in the month but we’ll see if my schedule dictates that I can play that. I came 2nd in the Seniors’ Tournament back in 1999, just to give you an idea that I had a shot there. I listened to the recent Remko Report interview with you and you mentioned that you used to hitchhike everywhere when you were a kid; that people don’t really do that anymore. Well, you might be surprised to learn that I actually hitchhike to and from my work office each day. So, from one hitchhiker to another, maybe you could take our viewers on a journey back to the 1950s and 60s, when hitchhiking was the norm. Have you got a little story to tell? Back then you didn’t have problems with the kidnappings and all that kind of stuff that’s taking place now, and the dangers that lurk out there. I would never want my kid to hitchhike for example. But back then, your mom would say, “Get out, go hitchhike if you want to get over there.” It was a common thing to do back when I was a kid, especially when I was in the army. When you hitchhike in uniform you always get picked up within two minutes normally. Someone would pick you up. Now usually it was some old war guy who wanted to tell you war stories from his past, so you listen to him but you’re happy to get a ride, so that was just part of the gig there. That’s what I noticed though, that it was easier to hitchhike when I was in uniform because you get picked up right away all the time. What rank did you achieve in the military? I was just a Spec 5. I was only in for a few years, but I love the army and I came that close to going to OCS and becoming a career military guy. I really enjoyed it. Last question: What does Mike Sexton’s ideal home game look like; who’s sitting at the table? What stakes are you playing for? What games are you playing? Seriously though, I got asked that by a reporter once – “If you could pick 5 icons in poker who you would enjoy playing at the table with, who would they be and why?” – so I listed the five. Number 1 would be Phil Hellmuth because he’s so entertaining when he loses a pot that you can’t help but laugh at the guy and enjoy yourself while you’re there. Then it would be Doyle Brunson, because every time you’re playing at the table with him there’s a chance that a prop bet will come up, and a side bet on something will come up, so there’s always action involved. Stu Ungar would be another one because I think he’s a savant – the Bobby Fischer of poker – so you know you’re in the realm of greatness when you’re at the table with him. Phil Laak would be another one because I don’t think there’s anyone more fun to play with at the poker table than him (or Jennifer Tilly for that matter). So it’s always fun to have entertaining people at your table to make it a little bit livelier. And then probably just any action oriented player, like a Gus Hansen, like a Phil Ivey, like a Michael “The Grinder” Mizrachi. These guys are very tough to beat, obviously, but you know when you’re at their table that you have a great shot to get all their chips because they’re in about every single pot. They can break you but you have a chance to get chips. So I like being at the table with a really aggressive player. Check out our review of Mike’s book, Life’s a Gamble!